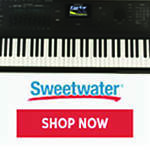 Register Log In Piano World Home Page Forums Digital Pianos - Electronic Pianos - Synths & Keyboards Yamaha CP4 vs Roland RD800? These seem to be the newest Stage Pianos on the market. Has anyone tried both of these, and compared them? Yep ... they are both very very good indeed. Comes down to which sound do you prefer. ... and how strong you are! The Roland is 9 pounds heavier ... not enough to make a real difference. Which did you prefer the sound of? I've heard videos of both and Roland didn't sound that great, but it looks like yamaha still uses stretching. Haven't had a chance to test either yet (don't even think RD800 is even in Australia yet). I'm in no rush though, (if Kawai brings out something soon that would be nice for more options... Seems like they should be about due to bring something new), although Kawai seems to have a history of being quite heavy. New Kawai is very heavy 35kgs or something. I usually prefer the sound of the Yamaha but the stretching/looping puts me off ...its 10yo technolnogy. 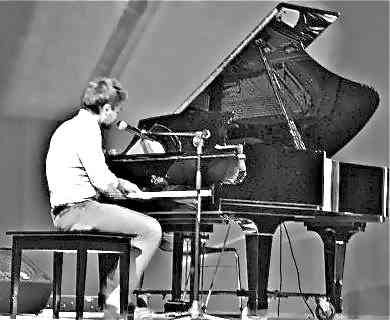 The Rolands Studio Grand is perfect ! Based on a Yamaha of course ... as for the RD800 not being in Australia ...it's not in stores yet but it is here. 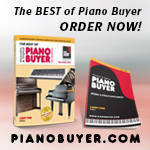 The only thing that matters in a digital piano is whether it has solid wooden keys. The $2600 RD800 does not have solid wooden keys and you can't even get it in the back seat of a car. If Super Natural actually made a difference, the CP4 wouldn't be currently outselling the RD700nx by a very wide margin. Slightly off topic, but helpful for sound comparison between CP4, RD700NX, and Artis. Marco, thanks. Just what I needed! Wow! The only thing that matters is wooden keys? Really? Sound, action, weight are irrelevant? But I'm in love in the RD800 sound posted in another thread, but the way the sound was recorder can change everything in our reception of it. Last edited by kapelli; 01/29/14 06:30 PM. RD700NX Studio Grand was already very good. If they made the RD800 even better , the keybed more quiet (!) and a tad lighter , it promises to be a very good board and IMHO superior to the CP4 which is more 'Rompler like' in sound signature (stretched / no significant resonance effects and dynamic harmonic details). Also I assume the RD still has the tone-wheel organs on board v.s. CP4 organs that are sample based. But the CP4 shines in compact design, good keybed combined with low weight and a totally different piano sound, which you may prefer. They both look plastic ; the RD700NX and older CP series had much more class and style. Try and see what you like. They are essentially both good. Don't let marketing terms like wooden keybed, wooden parts or looks be leading in your decision, you either like the feel and connect with the instrument or you don't . For me SN + PHAIII had a very good and delicate keybed to sound connection , but the SN sound could be over-exaggerated in the bases (muffled) and not so 'natural' in the hights + the PHAIII keys we're very noisy. If the RD800 is indeed improved and the key-thumping is gone these disadvantages are history. Only hands-on can prove that (a few sound-demo's on youtube won't tell you the whole or true story !). I hope for Roland they nailed it , since they seem to be a bit on the defense the last few years. Last edited by JFP; 01/29/14 06:32 PM. "You know who's posting , don't you ;-)"
Geeze your a tool ! The Artis btw has two really interesting things about it. The new German grand is fantastic and probably the best purely sampled AP available on a DP. The keybed is the worst weighted keyboard I've played on a top of the range DP. Last edited by Dr Popper; 01/29/14 09:25 PM. Yeah the Artis was brutal. Again, I thought the sample was excellent but no matter...the board was just not fun to play at all. I hope Kurzweil can come up with a keyboard with at least the Fatar action that's on the Nord Piano..that would be much more appealing. I can't weigh in comparison wise on the 800 since I just played it at NAMM under probably less favorable conditions then at the GC with a Roland amp...and that's saying something. The two times I've played the CP4 , I've been impressed enough to want one. I was really excited about the CP4 and was considering that as a possible replacement for the NP2 for the outstanding action and even less weight...albeit, not much less. But alas. I was terribly disappointed with the sound. It reminded me instantly of the same tired and dated sound Yamaha has been using that I heard from my old P80. I'm actually just going to hold out for either the Nord Piano 3 or pony up for the Nord Stage 2EX or 3, whatever they call it. I'm sure the next Nords will have 1GB of RAM, further improved features on already top notch feature sets. It's quite difficult to jump ship from Nord! That's partly why I was so disappointed in the CP4. I was hoping for it to blow me away. The sound definitely didn't. The Nord's Yamaha samples sound more alive and authentic than Yamaha's own samples! YMMV of course. I was terribly disappointed with the sound. It reminded me instantly of the same tired and dated sound Yamaha has been using that I heard from my old P80. That's because it IS the same tired dated sound from the CFIIIs they have been using for years but I'm surprised you didn't like the CFX ? Even with all the awful Yamaha stretching and looping It's a very nice sounding piano and very different to the traditional Yamaha sound. Yes. 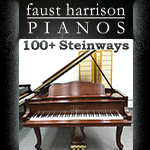 In the new CUP home piano version they use both the new piano sample AND the pretty OK Fatar TP40Wood keybed. Why they chose to use the inferior TP100 in the Artis remains a mystery to me . TP100 boards tend to have an advantage in low weight , but even that doesn't count for the Artis which is still pretty heavy overall. Kurzweil might consider an Artis V2 , with lightweight cabinet design (plastic ?) , FATAR TP40W 3 sensor keybed and perhaps add some string resonance simulations to the piano sample. That would make it really competitive in the field. For now the CP4 / RD800 / Artis is won easily by the first two ; in the first place because of the superior keybed in Yammie and Roland.